Our mission is to provide high quality, innovative and cost-effective maintenance of City streets, signs, and rights-of-ways with the highest service level possible to the citizens of Tacoma. 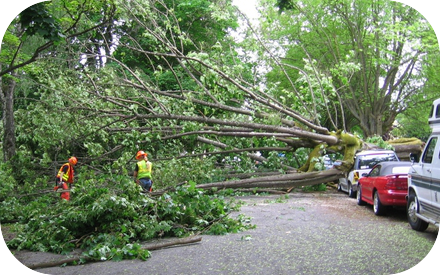 The Division’s primary efforts include the Community Service Work Crew Program, the Grounds Maintenance Program, the Street Repair and Maintenance Program, and Emergency Response. These services enhance the lives of our citizens and the quality of our neighborhoods and business districts. Staff also provide clean up when private property has not been kept up to the point of violating nuisance codes. Click here for guidance on management of vegetation within critical areas on City open space property. Crews clean a crack in the road and fill it with an elastic, rubber-based material that moves with pavement to prevent moisture from causing further harm. 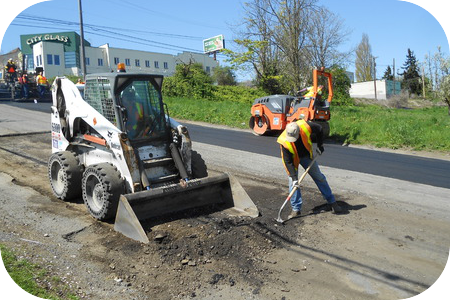 Crews repair depressions by filling and compacting them with asphalt, which may provide a temporary fix for up to a year. Reported repairs are generally able to be accomplished within two to ten business days. Specially trained crews make permanent pothole repairs with specialized equipment to remove sections of degraded pavement and replacing it with concrete or reinforced asphalt. Crews may also need to replace the underground crushed rock base material. Crews will lay down a layer of hot liquid asphalt, follow with a layer of clean gravel and finish by rolling the gravel into the asphalt. This is used on top of an existing street to seal and even out cracked surfaces. Crews add a 2-inch layer of asphalt over older streets that have outlived their serviceable life. Streets selected for this treatment have often required continuous potholes repairs. Generally, City crews perform residential street work while the work on main arterial streets is performed by contractors selected through a public bidding process. More than 38,000 informational (street names, way-finding) and regulatory (stop, yield, speed limit) street signs. The Street Operations Division’s asphalt plant also produces over 10,000 tons of asphalt per year. The City uses this material to repair City streets. The plant is currently undergoing a $300,000 retrofit that will allow staff to use recycled asphalt shingles and grindings to minimize waste and reduce asphalt oil needs. 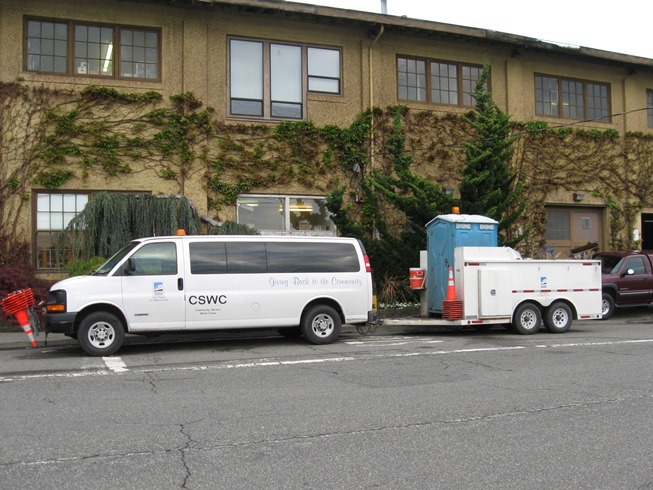 The Community Service Work Crew (CSWC) program allows participants with low-risk misdemeanor violations, who are referred by the Tacoma Municipal Court, to perform supervised work within the city of Tacoma. The program provides significant savings to the City by reducing jail costs and booking fees, and functions as a cost recovery vehicle for otherwise unrecoverable fines. Participants who are referred to the Work Crew provide visible restitution to the community while working to fulfill their obligations to the courts. Projects typically include maintenance of rights-of-way such as litter removal, overgrown vegetation maintenance, and assistance with neighborhood cleanups. CSWC operates seven days a week from 7 AM to 3 PM. During the one or two major snow events that are typical each year, Street Operations maintains 410 lane miles of main arterial streets. For the travelling public’s safety, crews de-ice by applying salt brine to elevated roads, hills and shaded areas prior to frost forming. Crews also plow snow from driving lanes and may need to repair/replace damaged signs and clear catch basins drains of ice-dams or debris to prevent flooding. During such times crews may also clear snow/ice from sidewalks and stairs adjacent to City property or remove downed/hazardous trees from City property and rights-of-ways. Find out more about the City’s response to winter weather.